It is well known in the travel writing world, that beaches are a pain to write about. How many different ways can you talk about sand, water, palm trees, etc. And so it is with Lindquist…if you find that stunning views, perfect water, powder-like sand uninspiring, boring or uninviting. Let’s put it this way, when Corona was looking for a beach to shoot commercials, they chose Lindquist Beach. You are probably familiar with the commercials – two people sitting in beach chairs with a couple bottles of Corona sitting on a table between them. What makes Lindquist special, in particular for weddings, is how unspoiled it is. You won’t find a mega resort or throngs of tourists on this beach. It is one of the longer beaches on St. Thomas. Seagrape trees dot the landscape. A wild chicken or duck may take an interest in you if you have wedding cake. Bath houses and covered pavilions are available if you decide to spend the day at the beach or hold a reception. 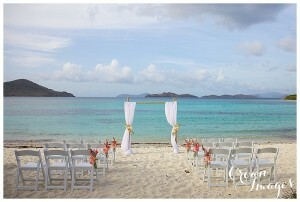 The prettiest spot for your wedding is on a small point at the far end of the beach. The point is a short walk along the beach away from any potential swimmers or sunbathers. Cool breezes are plentiful at the point making even the warmest days pleasant . Unlike some of the more popular beaches, Lindquist Beach doesn’t have readily available transportation. So you will have to arrange taxi service if you don’t have rental cars. 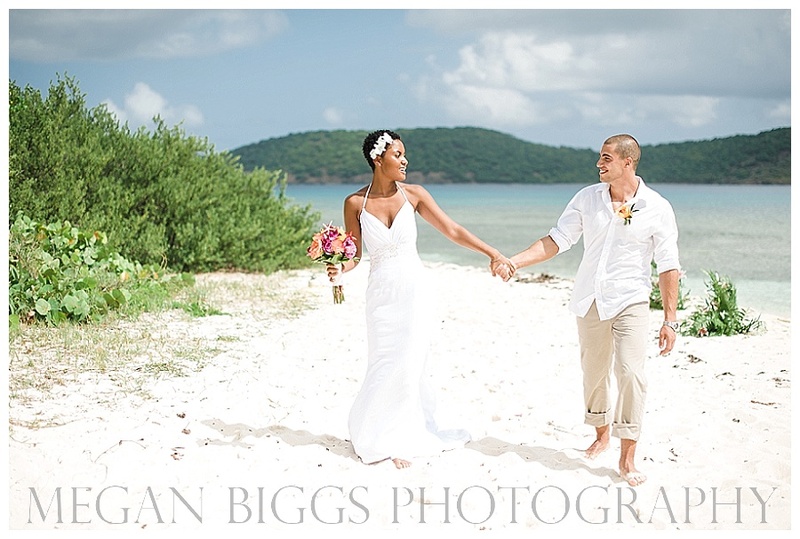 A site fee of $100 is all that stand between you and the wedding of your dreams. © 2019 Blue Venues. All Rights Reserved.